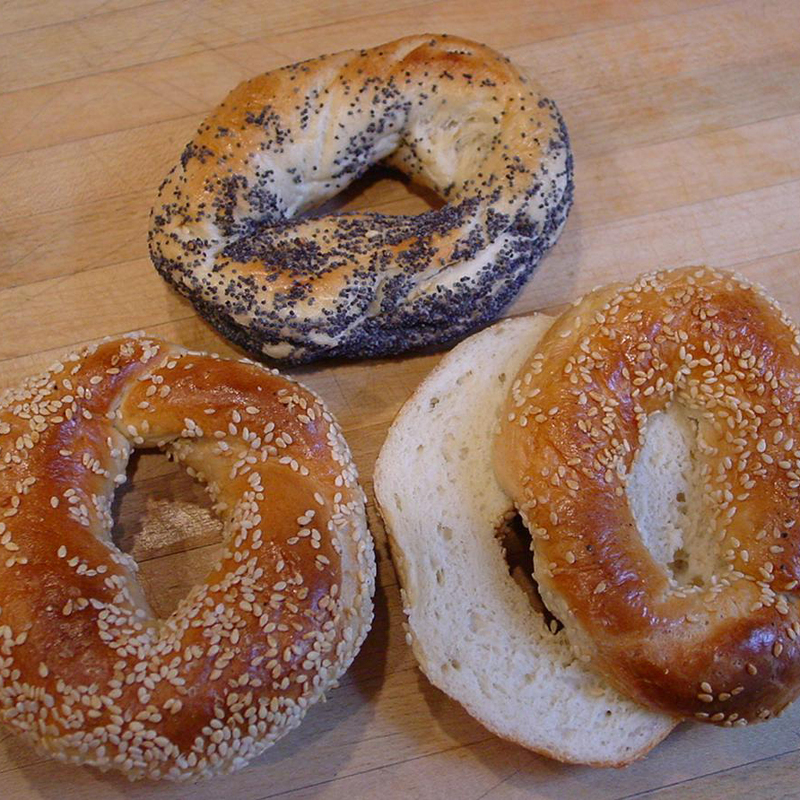 The refined carbohydrates found in most bagels cause spikes in blood sugar and can lead to impaired arterial function. Such effects can be lessened if the bagel is eaten with almond butter or with vinegar; vinegar has been shown to decrease blood sugar spikes as well as decrease triglyceride levels. Whole grain bagels are a healthier choice, because whole grains are associated with a slower progression to arterial damage or atherosclerosis. Compared to other breakfast foods, bagels score a 24 in terms of antioxidant content, outshining bacon at 7 and eggs at 8. Half of a cup of frozen blueberries scores 535, and one teaspoon of gooseberry (amla) powder scores 782. Soaking and cooking poppy seeds can lower their morphine and codeine levels—but those undergoing drug testing may want to avoid them altogether.